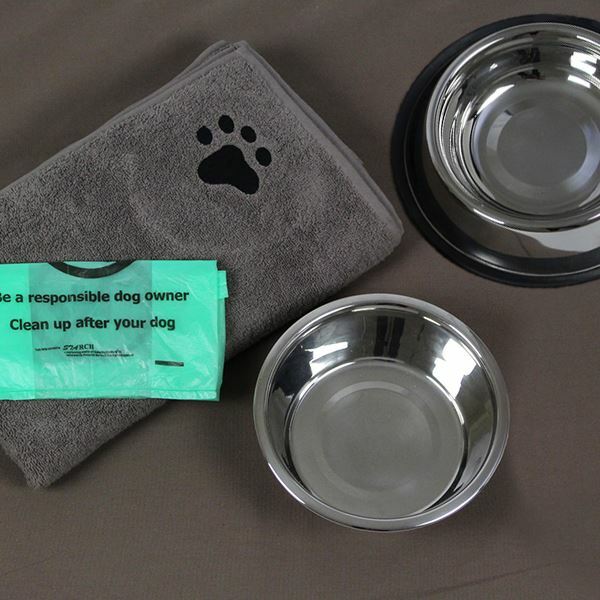 Now you can ensure that every one of your guests is made to feel welcome with our dog hospitality pack, comprising a dog towel, dog mat and each of the stainless steel bowls, with the benefit that you can charge extra for this service. These items are also available separately. Arrived promptly - good value for money and easy to store - very pleased.